It doesn’t take much for me to have a rave about the Pureology and styling range, mainly because it’s so damn great as well as being good for you and the planet. Their high performance haircare products are quite simply amongst the best on the market for those that like their beauty with a conscience. 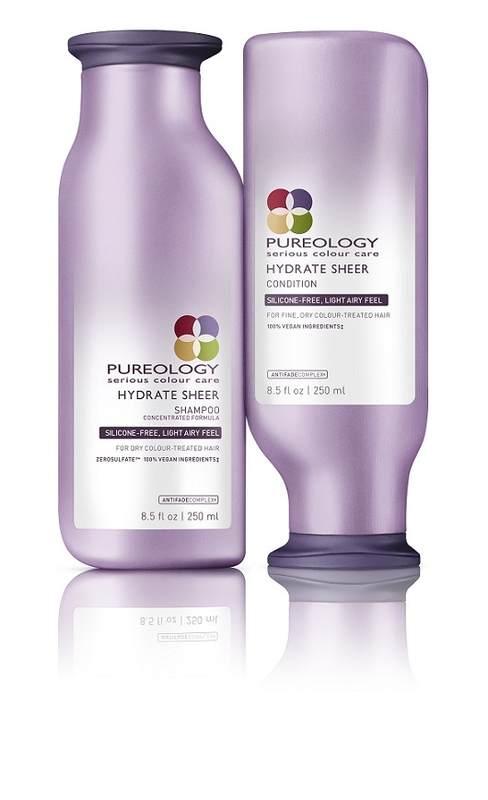 They have several systems on offer depending on your hair type, the latest release being additions to the Pureology Hydrate collection. For those that like things natural but contained, Hydrate Air Dry Cream allows hair to dry quickly and effortlessly without blow drying. I have waaaay too much hair - and it’s winter! – to have tried it myself just yet, but the word on the street is that it keeps frizz at bay like a charm, which gets a big tick from me. To accompany the launch of Hydrate Air Dry Cream the brand has introduced Hydrate Sheer – an addition to the existing Hydrate Range – made up of Hydrate Sheer Shampoo and Conditioner. I have been using the combo for a few washes and am thus far seriously impressed – I have a lot of hair but its fine and coloured, and this helps it untangle like a dream. The Hydrate Sheer range is formulated specifically for finer hair and is infused with jojoba, green tea and sage. Unlike traditional hydration systems that can be better suited to normal or thick hair, the Hydrate Sheer system is tailored for hair of a finer density with a silicone free formula that doesn’t weigh the hair down. 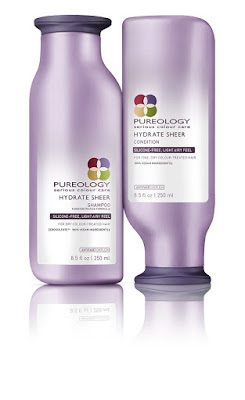 Like the rest of the Pureology range, Hydrate Sheer features the patented AntiFadeComplex and ZeroSulfates to keep your hair colour vibrant for longer, making expensive salon visits a little less frequent if you’re watching your wallet. Highly recommended and in store now, Pureology’s Hydrate Sheer Range and Hydrate Air Dry Cream are available from all Pureology salons and stockists starting at RRP$39.00.